Officials must be properly scrutinised and asked to explain how they score fights to save boxing from more embarrassment. 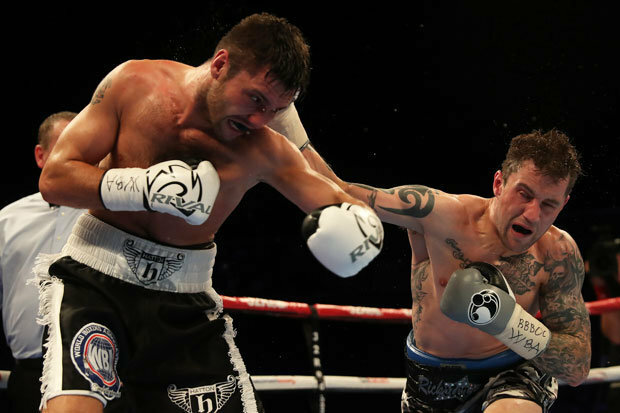 There are a lot of issues in boxing at the moment not least the growing drugs problem, but one thing that also needs sorting soon is the judging because itcontinuesto be another scourge of the sport.Last Friday night in Glasgow, Ricky Burns retainedhisWBA light-welterweight title with a points win overKirylRelikh. It was a great bout as the Belarusian puncher gave the Scotquite a scare, so when the judges’ cards of 118-110, 116-112 and 116-112were read out in favour of the home fighter there was quite a shock. How was it possible they could see the fight so wide when everyone was wondering if Relikh could be about to upset Burns or if the defending champion had done just enough. There have been too many ‘hometown’ decisions in Scotland, in recent years, and there is no denying it is one of the hardest to visit and come away with some favours from the three men ringside. But the main culprit in the three was actually theWBA-appointed Venezuelan JesusCova, who scored the bout 118-110, while American Raul Caiz Snr gave it 116-112 along with Birmingham’s Terry O’Connor. Burns did a lot of good things in the fight, but no way did he win 10 rounds likeCova believes – even eight was wrong.“We’d have more luck with Ray Charles scoring,” Relikh’s trainer and British boxing icon Ricky Hatton said. He was not upset about Burns winning, just how wide the three cards were. Burns can also feel hard done by as his winis questioned when he wouldhave got credit for coming through a tough fight. Many will claim corruption but this is just as much to do with complacency amid a worldwide problem with the officiating of bouts that is risking the integrity of the sport. There are kids from the age of 11 travelling up and down this country getting done by dodgy decisions.And the sport formerly known as amateur boxing is currently investigating claims of corruption after an Olympic Games plagued by scandalous judging. Yet, at the very highest level, poor scoring should not be accepted, and it is time the boxing governing bodies sat down with their officials and asked them to watch a fight again to explain their decision for each round, in detail. Only then would judges learn from their mistakes – or those in control will find out if they are just not up to assessing a fight.It would be embarrassing for the judges, time-consuming and costly for those involved in governing the sport. Yet, when boxers are putting everything on the line, they deserve to know those who could decide their fate are the best people for the job.